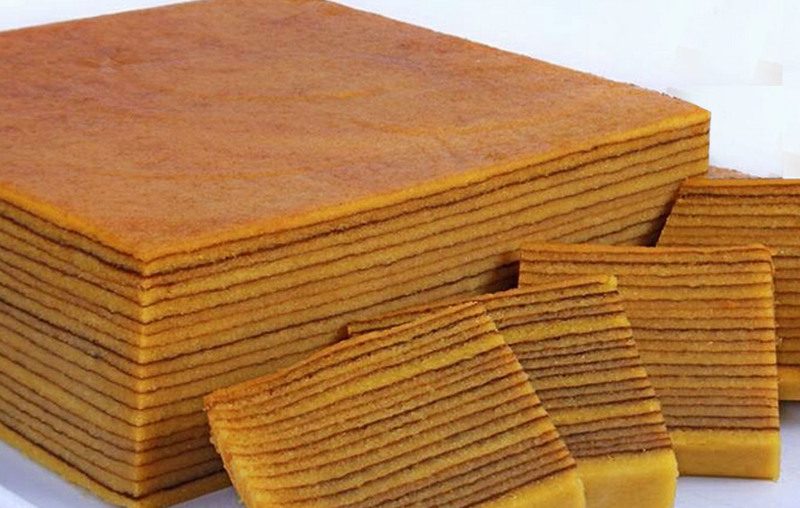 Lapis legit is a kind of cake made from flour, butter and egg dough. Generally, the yellow and brown legit layers. This cake made from wheat flour, egg yolks, sugar, and butter or margarine has layers and flavored sweet, slightly soft but firm and moist texture is popular in Indonesia especially in Bintan. The legit layer can be decorated and served as a cake for certain occasions. This cake is commonly served in the celebration of the big days, such as Christmas, Chinese New Year, and Idul Fitri. The slices of this cake can usually also be served as a snack or a dessert dish in a meal. 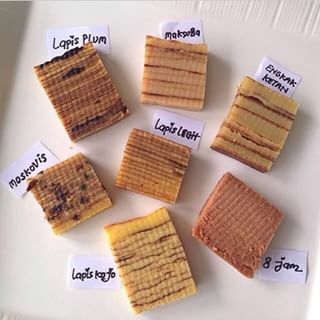 Lapis Legit in Bintan is Indonesian - Dutch pastry recipe. 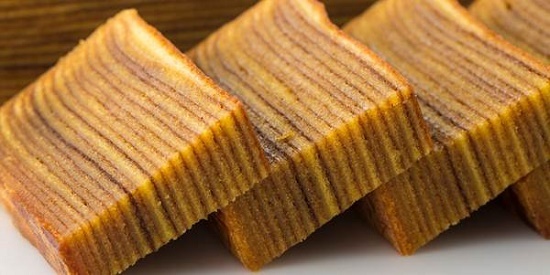 This cake evolved during the Dutch colonial period in Indonesia and was a cake that was inspired from Dutch cake using indigenous Indonesian local ingredients. Legitated pie cake is made from a variety of spices that are very favored by Europeans such as cardamom, cinnamon, cloves, anise so that it is very distinctive rich in the aroma of spices.